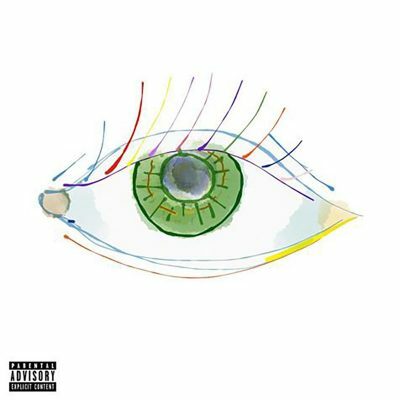 Back again, as always, with something new and unique, m.duby’s Seeing Color showcases the abilities of this talented rapper, an artist who can meld and flow among a multitude of tones, paces and styles, all packed into one album. Upon first listen, Seeing Color comes across as a feel-good album to kick back and relax to, but once you give yourself a moment to digest the lyrics, you hear of m.duby’s journey from breaking free from depression and being in an all-out rut to finally seeing the world in a different light and looking for and finding himself. The album’s grand entrance is a track called “Take Back,” which starts with a beautiful piano riff that then takes listeners into an eerie loop. The track breaks out with infectious hi-hats and a hypnotizing trumpet. The themes of self-discovery lie prominently in the interludes. The song starts the album off by asking where m.duby has been, and after a barrage of beats and rhymes, the track proclaims, “Hey! I found him!” as waves crash in the background. The standout for me has to be the title track. Its low-key, synth-driven beat, accompanied by uplifting and thought-provoking lyrics, really conveys the overall feel of the album: seeing past the gray and instead viewing the world and life in color. As I really sank into this album, I noticed major differences from previous m.duby releases. Seeing Color is bare-bones duby. The beats feel more organic, and they shake off the vocal samples I had previously praised him for. This evolution in style was something refreshing—in Seeing Color, you are getting nothing but m.duby. The safety net of flashy, familiar voices and sample loops are taken away so that listeners can appreciate the artist that m.duby is.